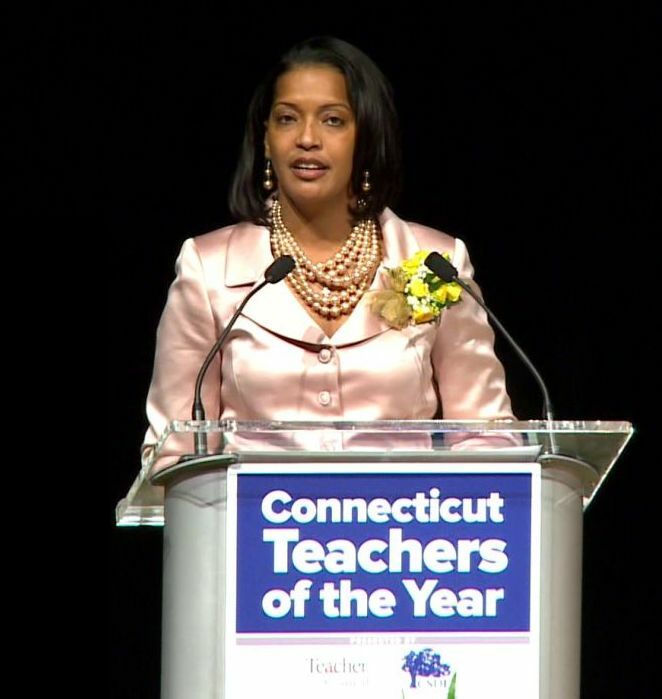 Jahana Hayes accepting the Connecticut Teacher of the Year honors on April 26 in Hartford. Waterbury’s Jahana Hayes has been named National Teacher of the Year. Her story and approach to teaching are shining examples of Connecticut’s excellent teachers! Ms. Hayes teaches Social Studies at John F. Kennedy High School.